Nalanda Reiki center is proud to present Reiki training in Australia. We are starting with Reiki 1st degree course on the coming on Sunday in Melbourne Australia. The Reiki 1st degree course you learn how to heal yourself and other with hands on healing.You will be attunement to Reiki in the Reiki 1st degree course. In the Reiki 1st degree course you learn what is Reiki? What is the history behind Reiki? 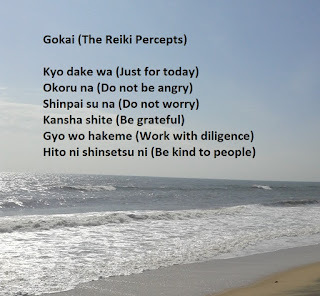 What are the principal of Reiki? What are the way in which you can heal yourself? How to heal your Chakras? You will also learn how to heal others? How to charge your belongings with the power of Reiki? How to charge fruits and juices with this positive energy, so that you can drink that juice and get energize. You can energies others with the positive energy of Reiki. In Reiki 2nd degree course you will learn how to heal yourself and others at mental and emotional level. You will also learn the technique of distance healing. We are planning do the 2nd degree course in Melbourne in the 2nd weak of this month and every month. The Reiki 2nd degree course makes you are more flexible. You go beyond time and space. The limitation of time and space is not be applicable to you. You can heal cross distances, giving you the ability to heal somebody sitting in some other city. Reiki is a very simple effective technique. As a Reiki practitioner your Reiki is complete with the 3rd degree of Reiki. So we will conduct the Reiki 3rd degree course on the 3rd Sunday of every month in Melbourne. Reiki 3rd degree is for those who want to heal themselves and other at the spiritual level. In this course you are healed at the level of karma. You become aligned to your life purpose and you can continue your spiritual journey with Reiki. We will do Reiki 3rd degree course in the 3rd weak of every month. So in this way we going to conduct many Reiki course in Melbourne Australia every month. You will also have additional Reiki 1st degree courses in the 4th weekend for the benefit of students in Melbourne. Those who want to learn Reiki at home can also arrange a Reiki course their own home. That is more convenient for many people and those who want to arrange a private session at other time, during weekdays, that can be work out. 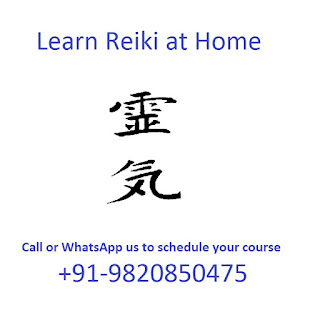 So those who want to learn Reiki in Melbourne can contact us on +91-9820850475. Start to benefit from the wonderful practice of Reiki. Allow Reiki is transfer your life for the better and for the good of all. I am happy to announce that Nalanda Reiki Center is going to conduct Reiki courses in Bangalore in March 2018. As you know, Reiki is a spiritual healing method for healing the mind, body and the spirit. There many benefits of Reiki. First of all, it helps in reducing stress. Secondly, you can heal yourself and your family members. Thirdly, you can also heal plants and animals. In fact you can heal anyone and anything under the sun. Read more: What is Reiki? There are five levels in Reiki. In the first level of Reiki you learn to how to heal self and others at physical level. Any aches or pains can disappear in just a few minutes of Reiki healing. In the second level of Reiki, you learn to how to heal yourself and others at mental and emotional level. You can also heal somebody at a distance. Even in problems where more then one person or a group of people is involved, you can do the healing. The third level of Reiki is about healing at the spiritual level. After the third level most Reiki practitioners experience that they are more aligned to their life purpose. As time passes. things become easy for them. There is more and more grace in life. You are more aligned with the universe and your manifestation is fast. The moment you think something, the universe was goes on to work on your goals and realize it for you. After the third level of Reiki a person can go on to become a Reiki master. As a Reiki master you can teach level 1, 2 and 3 to others. Its a wonderful experience to be a Reiki master because you learn lot more when you are teaching other. After a few years of teaching as a Reiki master you are ready for Reiki Grand Master level, where you can also pass on Reiki Master degree to others. For every degree there is a attunement process in which blocks are removed from the pathway through which the Reiki energy flows. 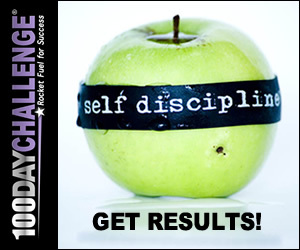 Each level of Reiki will cleans your channel and further activate higher and higher abilities. After every level few days of practice is a must so that you master the recommended skills and abilities that you learn in each level and then move on to the next level. Reiki has been practice for hundreds of years and its passed from the Guru to the disciple. When the disciple is qualified to become a Guru, he goes on the teach Reiki to other people. So in this way for hundreds of years the system of Reiki have been passed on form generation to generation. Its was only the last century that Mikao Usui thought of spreading Reiki to the common man. Reiki started to be used for healing others. 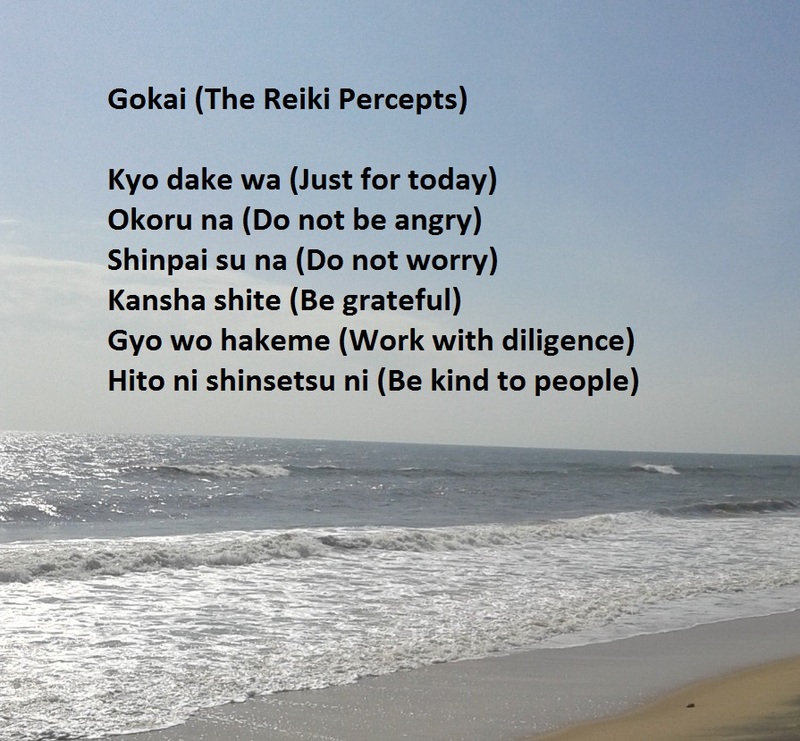 All Reiki practitioners are recommended to remind themselves and read the Reiki principles. "Just for today I will not be angry, I will not be worry, I will be grateful for everything and I will do my work properly and I will be kind to all people. Another major part of the Reiki system is the meditation. Daily meditation allows us to be in a peaceful and happy state of mind. With meditation you can be more aware, you can be more conscious of your thoughts, feelings and emotions. Rather then be reactive, you can be proactive and bring more control in your life. Reiki is a wonderful thing to learn and everybody should learn it. It's great have to at least 1 Reiki practitioner in the family so that anyone needs healing, Reiki can be given. Many Reiki practitioners feel that their close family members and friends should also learn Reiki. 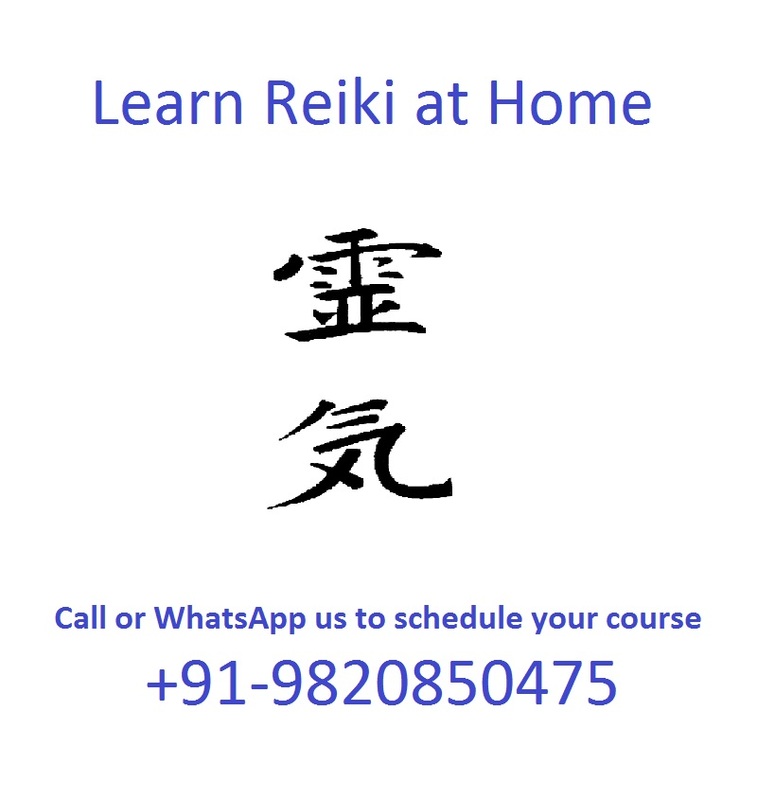 So if you are from Bangalore then you can take advantages of these upcoming Reiki courses in Bangalore. This Reiki training in Bangalore can be attended by all people who are living in Indiranagar, Vijaynagar, JP Nagar and Malleswaram. All can come and attend these Reiki courses in Bangalore. I am also planning to do Reiki master degree course. Once you became a Reiki master you can open your own institute of Reiki training and healing in your area and you can teach Reiki to others. So I look forward to my Bangalore visit and I am really excited about the Reiki classes in Bangalore. I am going to conduct many Reiki courses in Bangalore in the future as well. If you are Reiki master and if you are thinking of becoming Reiki master, I can train you to become a ethical and powerful Reiki master. 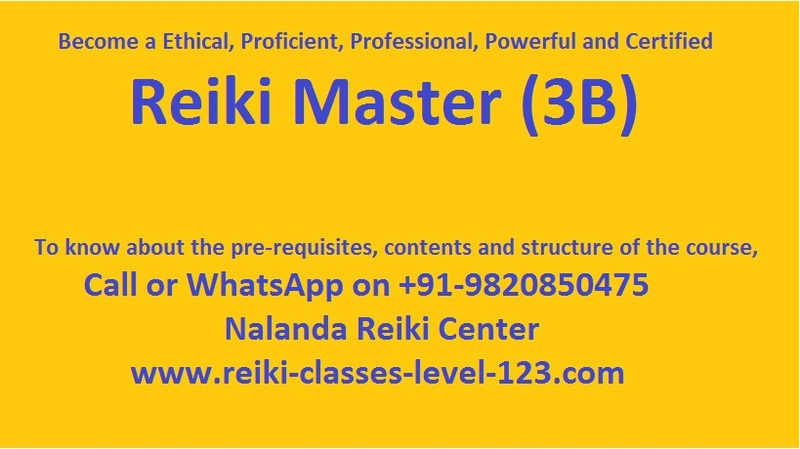 I can guide you in how to have the best Reiki classes in Bangalore by training yourself and developing yourself to be a powerful and ethical Reiki master. Sachin Bangera is a Reiki Master Teacher and holds Masters degree in Educational and Counseling Psychology. His mission is to have a Reiki practitioner in every home on this planet by 2022 in collaboration with Reiki Masters all over the world. 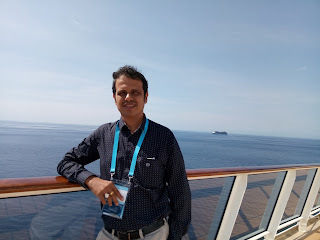 He has trained and developed more than 16 Reiki Masters in Delhi, Mumbai, Navi Mumbai, Thane, Dubai and Australia. 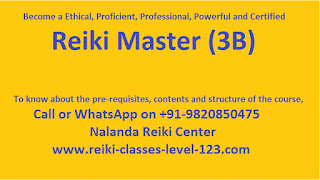 He conducts Reiki courses in Mumbai as well as online Reiki courses.